Adds more clothing and weapons to the bandit loot tables and completely randomises their equipment for more variety in bandit appearance and more diversity in bandit toughness. Optional support for the TERA Weapons Collection mod. 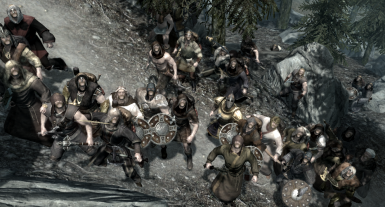 This mod aims to bring extra realism to the bandits of Skyrim by diversifying their equipment to give the impression that they really are gangs of criminals, murderers, thieves and thugs who roam the wilderness and survive by committing acts of robbery and violence on travelers and plundering any dungeons and caravans that they happen to come across. 1.More varied bandit appearances. 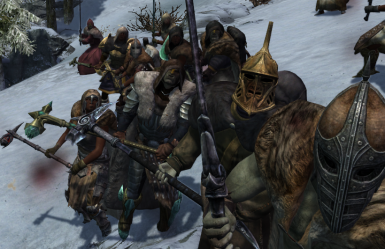 Bandits have been stripped of their previously 'uniform-ish' outfits and are now decked out in gear which actually looks like it was thrown together after mugging a traveler or raiding a village or the caravan of a passing merchant. 2. Diversity in bandit toughness. Bandit weapons and clothing are now equipped completely randomly. Their equipment is no longer based on your level - so now, it's entirely possible to run into a bandit decked out in powerful gear when you're low level - just as it's also possible to encounter a bedraggled bandit in rags when you're high level. 3. Immersion for the RP'ers. Picture the scene: There's a droog bandit called Dim 'George' . He's a bit 'slow'... His 'companions' enjoy a laugh at his expense. He usually gets the rags at the bottom of chests and crates that no one else wants. So, you might find your very own "George" wandering around a bandit camp wearing sandals, a chefs hat, jester robes and wielding a woodcutting axe - You've found the runt of the camp!... Then there's Joan, she's a badass. 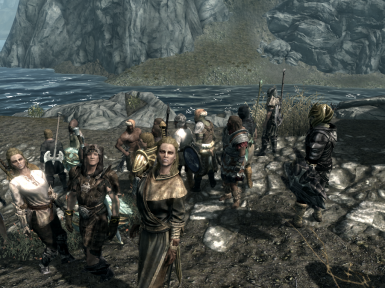 She gets first dibs on all the loot... You can easily spot her, she's decked out in Dwarven Boots, a Daedric Helmet and Gilded Elven tunic and wielding a sword that could split a mammoth in two... Which she looted from the last adventurer that crossed her path ~ You probably don't want to piss her off. 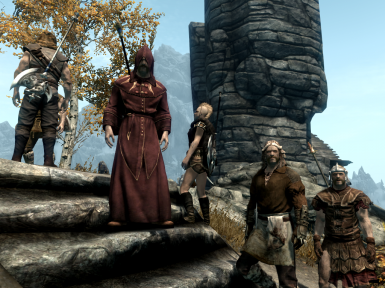 Bandits will now be completely randomly equipped with everything from prisoner rags and iron swords to Orcish armour and powerful Warhammers, regardless of your player level. Decide which version of Ragtag Bandits you want to install. 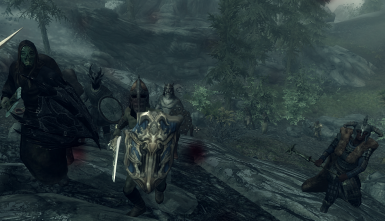 If you don't use the TERA Weapons Collection mod, then simply install the default Ragtag Bandits mod. If you use the TERA Weapons Collection mod and want to add those weapons to the bandit loot tables then, obviously(! ), install Ragtag Bandits TERA. I've built a version of Ragtag Bandits which supports the (awesome) TERA Weapons Collection mod! If you use the TERA Weapons Collection mod and you want those weapons to appear on bandits alongside the standard weapons, then choose to install the 'Ragtag Bandits TERA Support' mod. Users of the original TERA Weapons Collection mod will be aware that the only way to obtain the weapons was by crafting them or simply taking them from a barrel in Whiterun. They weren't available in the loot tables. 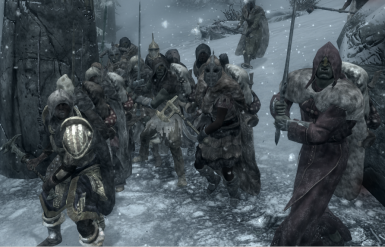 Ragtag Bandits TERA version changes that, it also removes the weapons barrel from Whiterun and reduces the monetary value of the weapons to compensate for their new availability. 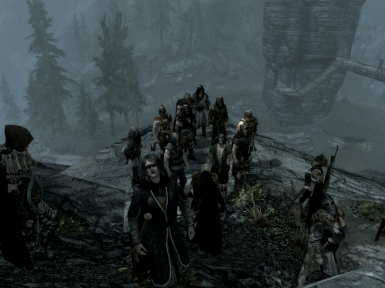 I'm running quite a few mods (Cloaks of Skyrim, Immersive Weapons, 3rd Era Weapons and similar mods) and haven't encountered any issues so far, so for now I'll say compatibility is good until a conflict is reported. 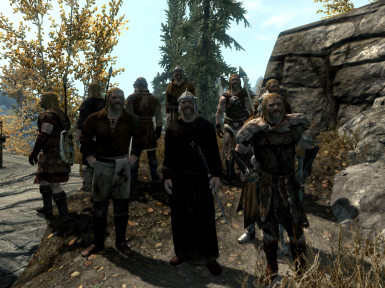 I've recently delved into Skyrim modding and decided to make this my first project. There are similar mods out there which are worth checking out - But I thought I'd throw mine into the mix as well! No toe-stepping intended. If you encounter any problems with the mod, just let me know in the mod comments section - Same thing if you have any requests or suggestions.